Here is a list of treatment options for laser resurfacing devices. Please click any of the following links to jump to the section you’re most interested in, continue scrolling down the page if you would like to learn about everything laser skin resurfacing can accomplish, or give us a call at 917-703-7069 to get more information from one of our laser experts or to schedule a consultation. Laser skin resurfacing for large pores. Laser skin resurfacing for acne scars. Laser skin resurfacing for fine lines and wrinkles. Laser skin resurfacing for hyperpigmentation and melasma. 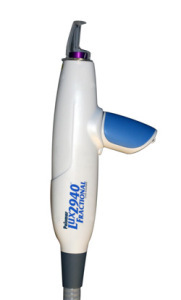 Laser skin resurfacing for surgical and traumatic scars. Laser skin resurfacing for stretch marks. Fractional, non-ablative resurfacing: Non-ablative lasers penetrate into the deepest layers of the skin to stimulate a healing collagen response that generates new layers of skin and increases the turnover of the superficial layers. As each new layer of skin is formed, an old superficial layer is sloughed, and the new pores become tighter and smaller. A fractional laser is preferred for this treatment because it minimizes the downtime. The LiteTouch Laser Facial™ is our signature treatment for large pores that incorporates fractional non-ablative technologies to shrink pores as well as decrease sun damage, remove broken capillaries, and soften the skin. Chemical Peels: Chemical peels are an excellent option to shrink pores as long as they are used correctly, and as long as you plan for the downtime associated with the specific peel of choice. Every peel offers different degrees of peeling, so make sure to pick the one that fits your schedule, or have a skin care consultation if you’re not sure. Click here to read more about chemical peels. Fractional, non-ablative resurfacing: Non-ablative lasers can penetrate into the deepest layers of the skin to stimulate collage production and healing of the scars from the inside out. Since most acne scars are very deep, this is the only treatment method that has a chance of being effective because of it’s significant depth of penetration. Superficial peels and over-the-counter creams can never penetrate as deeply as a fractional non-ablative laser, and are usually ineffective. Even moderate-severe acne scarring will show improvement after 3-5 treatments spaced 4-6 weeks apart. The treated skin will be pink and sensitive for 3-5 days after each treatment, but can be easily hidden with concealer, foundation, or any redness relief moisturizer with green tints that hide redness. Each treatment takes 30-45 minutes, and is quite comfortable thanks to a layer of numbing cream applied to the skin before the treatment. Fall, winter, and early spring are the best times of the year for laser treatments for acne scarring because the sun is less intense making it less likely that your healing skin will burn. Fractional, ablative resurfacing: Ablative lasers remove one or several of the top layers of the skin, which is a very effective method for treating acne scars, but increase the downtime significantly. Instead of 3-5 days of pink skin that resembles a sunburn with non-ablative resurfacing, you will be very red with some mild scabbing and peeling for about 5 days, followed by 1-3 weeks of red/pink skin. The results from ablative resurfacing usually surpass the result of non-ablative resurfacing, so if the additional downtime is not an issue for you, it is worth considering. Ablative resurfacing results will be noticeable with less treatments, and will be more dramatic than non-ablative resurfacing. Chemical Peels: Stronger chemical peels like TCA can produce a modest improvement in mild-moderate acne scarring, but it won’t be sufficient for moderate-severe scarring. Surgical Excision: The deepest, most severe, acne scars may not benefit from any form of laser treatment, and sometimes surgery is the only treatment that will work. Scars this severe are rare, but it is important to identify them beforehand to avoid wasting time with less aggressive treatments. Skin Care Routine: Of course it is crucial to prevent new breakout and new scarring if you are going to invest in a series of laser treatments, so part of your treatment package will include a skin care consultation with the doctor performing your treatments. The doctor will help you identify areas for improvement in your skin care routine, and recommend specific products to treat existing acne and/or minimize oil production if necessary. Click here to see Before and After photos for one of our real patients who underwent laser skin resurfacing treatments for moderate acne scarring. Fractional, ablative resurfacing: Wrinkles respond best to ablative resurfacing methods that remove one or several layers of skin in a single treatment. There is real downtime after an ablative treatment, but the results are quite impressive as the new layers of skin regenerate smoother, tiger, and more uniform. This type of treatment can be performed in the office under local anesthesia, but it is more often performed along with other facial procedures that require a deeper level of anesthesia like eyelid surgery. Expect the skin to be bright red with some scabbing and peeling for about a week after the procedure, followed by 1-2 weeks of pink and sensitive skin. Once the red color fades to a pink color that is similar to a mild sunburn, makeup can be applied for coverage, but this is usually not possible much before the first week. Fractional, non-ablative resurfacing: Although the results are usually inferior to those produced by ablative resurfacing, non-ablative laser treatments are quickly becoming the gold standard for treating large pores, wrinkles, fine lines, and other surface imperfections. The reason for the rise in popularity of non-ablative lasers is their undeniable benefit over ablative lasers in terms of downtime. Non-ablative treatments carry a fraction of the downtime of ablative treatments, with only 2-4 days of pink skin for most patients. Non-ablative treatment are done in a series of 3-5 sessions as opposed to a single ablative treatment, but the more favorable downtime far outweighs the convenience of a having a single ablative session. Chemical Peels: Chemical peels are an excellent option for fine lines and wrinkles, particularly the very fine lines around the eyes. A middle strength TCA peel of the lower eyelids and cheeks is an easy and effective treatment for fine lines in this area that takes about 20 minutes, and can be done in the office with no anesthesia necessary. The skin will peel for 2-3 days, and then require coverage with concealer for an additional 2-3 days until the pink color fades and the skin tightens. Dermabrasion: Dermabrasion was the old gold-standard for skin resurfacing before the current generation laser technologies were available, and it remains a highly effective method to resurface even the deepest wrinkles and lines. Twilight anesthesia is usually required, and the healing time is comparable to ablative resurfacing, so dermabrasion treatments are usually done as a combination treatment along with other forms of facial cosmetic surgery like face and neck lifts. Fractional, non-ablative resurfacing: This is the gold standard for treating hyperpigmentation because it is the only treatment that can penetrate deeply enough to reach the most deeply embedded pigments, which are characteristic in the most problematic forms of hyperpigmentation like melasma. Almost all true hyper pigmentation involves deep deposits of pigment, so more superficial treatments like creams, peels, and even more superficial laser technologies, usually fail to produce results. Hyperpigmentation usually responds within 3-5 treatments spaced 4-6 weeks apart, and most laser specialists will also recommend concomitant use of a skin lightening serum to ensure the best possible result. Fractional, ablative resurfacing: Ablative treatments for hyperpigmentation are not generally recommended because of the deep penetration required. 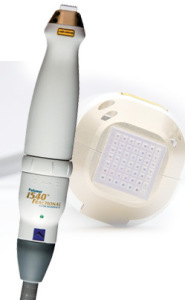 Deep penetration with an ablative laser is risky and could produce further hyper pigmentation, or hypo pigmentation. Chemical Peels: Chemical peels are usually ineffective for true hyper pigmentation, but may offer some improvement for mild cases at a fraction of the price of laser treatments. Silicone Sheet Therapy: Silicone sheeting is almost always used in conjunction with our laser scar therapy sessions. Steroid Injections: Steroid injections are only necessary for a small percentage of scars as long as silicone sheeting is used reliably, and laser scar therapy is started early. Stretch marks are the deepest scars of all (even deeper than acne scars), and therefore the only successful treatments are the deepest penetrating fractional lasers. Since stretch marks involves actual tears in the dermis, the deepest layer of the skin, the treatment is a question of technology and physics… the laser energy must penetrate all the way to through the dermis to heal the tear without damaging the more superficial layers of skin. That’s exactly what our fractional resurfacing treatments for stretch marks do. Most patients will see the marks fading within 2-3 treatments, but optimal results are usually obtained with 3-5 sessions. The treated stretch marks will be bright red after the treatment session, but as long as they are kept out of direct sunlight, there is no real downtime. Each treatment takes 30-60 minutes depending on how many areas are treated. The most commonly treated areas are the breasts, love handles, abdomen, and hips, but almost any area on the body can be treated with this technology. If you are interested in scheduling a treatment or consultation, please feel free to give us a call at 917-703-7069 or send us a message by clicking here. Are you considering laser treatments in NYC? We offer the most innovative technologies and the quickest recovery times, and all treatments are performed by a physician for added safety and comfort. Please feel free to contact us online or call our office at917-703-7069. Dr. Nicholas Vendemia performs laser skin resurfacing for women and men in the New York metro area. We encourage you to contact us online or give Manhattan Aesthetic Surgery a call at 917-703-7069 to schedule a visit. Dr. Vendemia is a leading cosmetic surgeon in New York City with a reputation for custom care and beautiful results.